A $79 discount on dental 3D imaging is available for a limited time. Herald Square Dental is offering a special spring savings opportunity to help patients get on the road to the smile they’ve always wanted. For a limited time, Herald Square Dental is taking $79 off* the cost of dental 3D imaging. Herald Square Dental is dedicated to always delivering the highest quality service to their patients. They achieve this by having the most up-to-date, state-of-the-art technology available, and by utilizing the newest techniques. One of these is the i-CAT Cone Beam CT scan machine. This is an enhanced X-ray machine that takes 3D views of the jaw. The i-CAT offers award-winning performance and amazing clarity. Praised by owners, dental educators, and the dental community alike, this technology is widely regarded as the cone beam industry standard. Thanks to the i-CAT, dental implant and cosmetic dentistry patients do not have to go to a radiology center for a CT scan because Herald Square can offer that right from the comfort of their office. Those who have questions about existing dental implants or getting implants can call 212-689-0024 to schedule a complimentary consultation with one of Herald Square Dental’s experienced implant doctors. They will carefully discuss with you your treatment and financing options available and help you find the one that is right. Herald Square Dental is a full-service dental office offering everything from porcelain veneers and orthodontic care, including Invisalign, to implants that replace missing teeth entirely. They are also well-known for quality dentures custom-fabricated right on the premises. 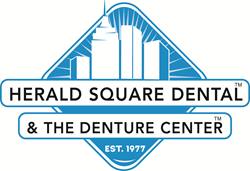 Conveniently located in Herald Square in the heart of New York City, Herald Square Dental has been known as New York’s place for quality cosmetic dental care and same-day dentures since 1977. They are equipped with all the technology and comfort to optimally restore beautiful smiles successfully, affordably, quickly and conveniently. Dr. Pasch, Dr. Yam, Dr. Shirzadnia, Dr. Song and their friendly staff are highly trained in fixing chipped, cracked or stained teeth with lovely new veneers. At Herald Square Dental, they offer a wide range of affordable dental makeover options, including natural-looking porcelain crowns, tooth bonding and tooth-colored composite fillings. Visit their website today for more information, http://www.heraldsquarecosmeticdental.com/.